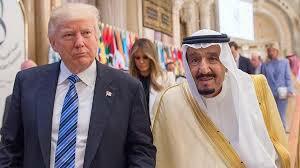 King Salman of Saudi Arabia lashed out US President Trump for recognizing Jerusalem as the capital city of Israel, despite the world renown ongoing dispute of the land. The 82-year-old monarch also slammed Iran for its “blatant interference” in the region for backing the conflict in Syria. “We reiterate our rejection of the US decision on Jerusalem. East Jerusalem is an integral part of the Palestinian territories,” Salman said.